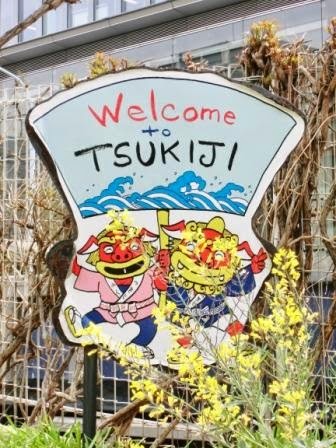 So, I’m going to update Tsukiji Market sightseeing guide in Tokyo Direct Guide. Finally. Tsukiji Market is very very popular among international tourists. I saw many! StreetPass Mii Plaza of my Nintendo 3DS welcomed a guy from Illinois, the US, and another from France. Tsukiji Market sightseeing guide in Tokyo Direct Guide has been a no-photo page for a long time. The reason is simple. I didn’t have photos. Here, I’d like to tell you some tips to make your trip easy. The entire of Tsukiji Market is separated into Inner Market and Outer Market. Talking about “Tsukiji Market” to visit as I do, it’s Outer Market. Inner Market is the wholesales area only for professionals basically, and if you wish to see tuna auction there, you need to register at Fish Information Center (open at 5 a.m.) which welcomes 120 people a day. It is impossible for many people to try all of a sushi plate, a rice bowl with fresh seafood, curry rice, a bowl of noodle, take-out grilled shellfish and a Japanese omelet in just one day. Shops open from very early (ex: 6:00 am) and close around 14:00! Tsukiji has a history of hundreds of years and has gone through several city plannings of Tokyo. Although it is located in the middle of Tokyo, there are somehow only subway stations near the market. Just in case you need to clear up your mind to find your way, take any subway to go to a JR station. 5: Tsukiji Honganji Temple is another must-see! Its building is inspired from India. See photos and you’ll see it. I’ll develop more. See details on Tokyo Direct Guide!